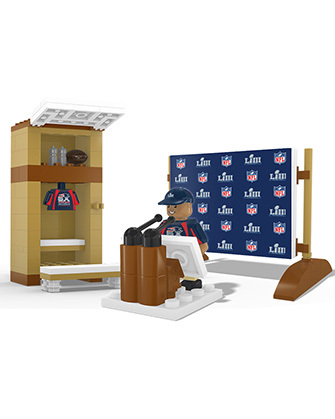 Experience Super Bowl post-game action and let your imagination run wild with a 115-piece buildable team locker room/interview set! 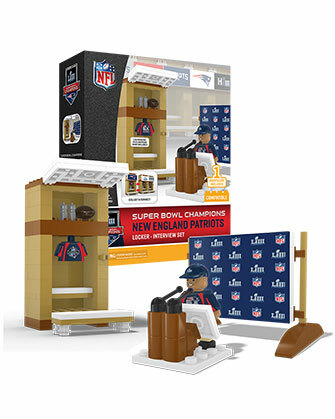 The set includes a locker that features a storage cabinet with swiveling door, removable bench and a place to hang your uniform. 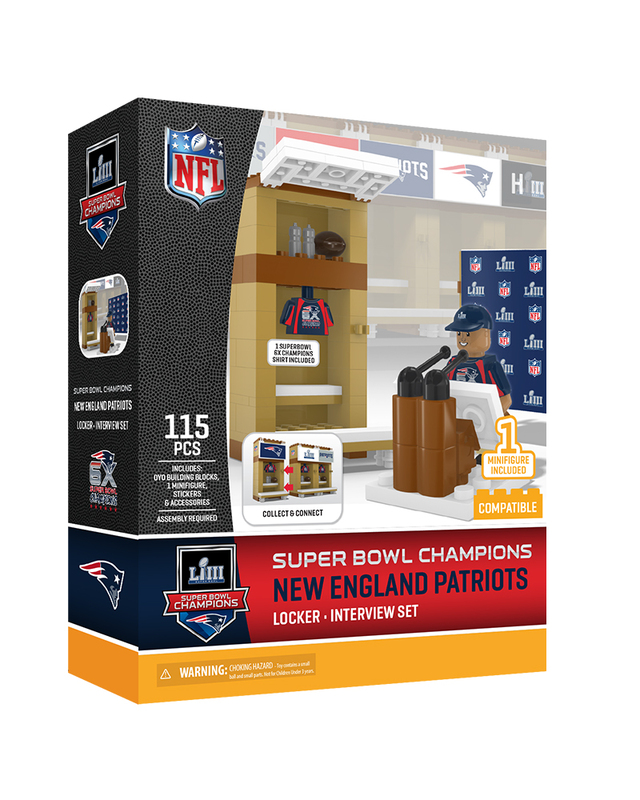 Includes New England Patriots Super Bowl 53 Champs tee shirt on the minifigure! Step up and face the press with our buildable interview podium that includes a 2-in-1 interview board as well as a coach minifigure. Comes with a bonus 113-piece decal pack that allows for customization of your favorite team! The perfect gift for the biggest (and littlest!) sports fan in your life. Includes exclusive Patriots Super Bowl Champion tee shirt on the minifigure. Bonus 113-piece decal pack that allows for full-team customization. Dimensions: 1.87" L x 1.87" W x 3.75" H.